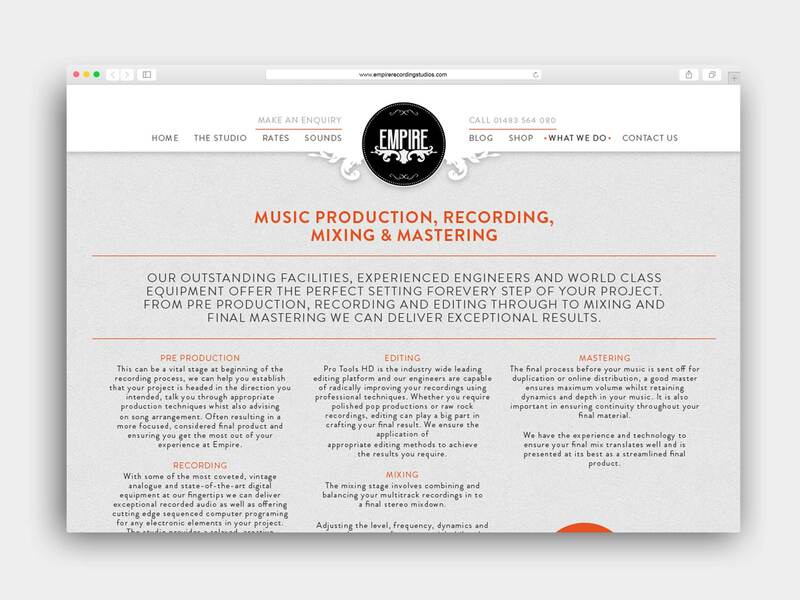 Empire Recording Studios approached us to provide a new website design and build for their Guildford studio. Naturally we obliged. 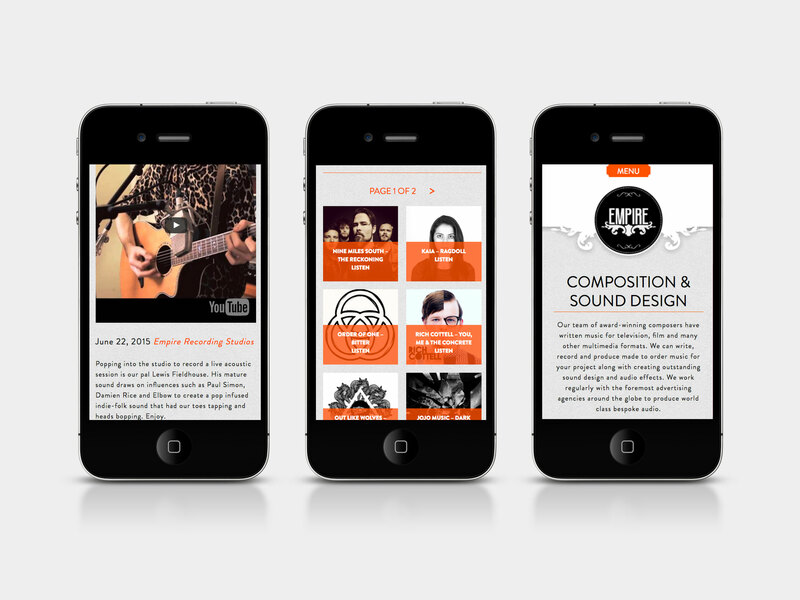 Working within the music industry offers creative designers the opportunity to be more flamboyant than in other sectors. 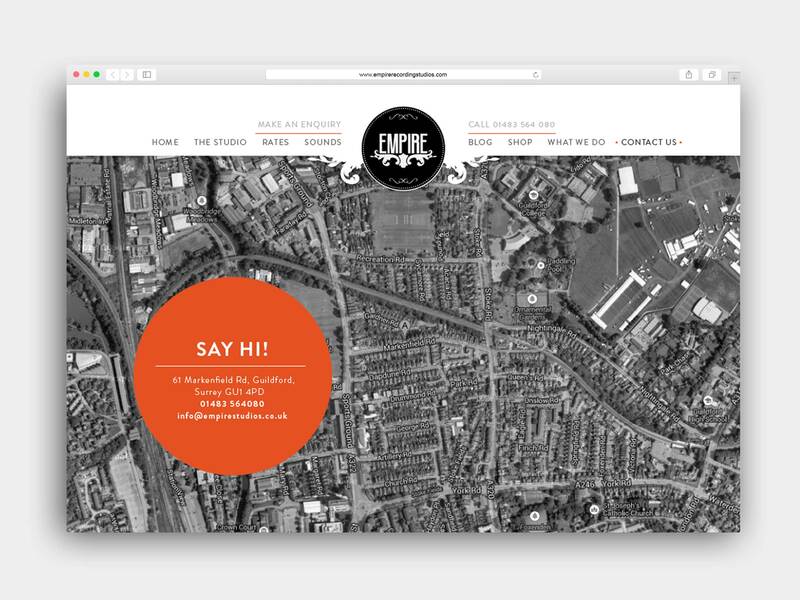 We wanted to create an elegant image led website to showcase the studios facilities and the experience users would get from using Empire in the best possible way. 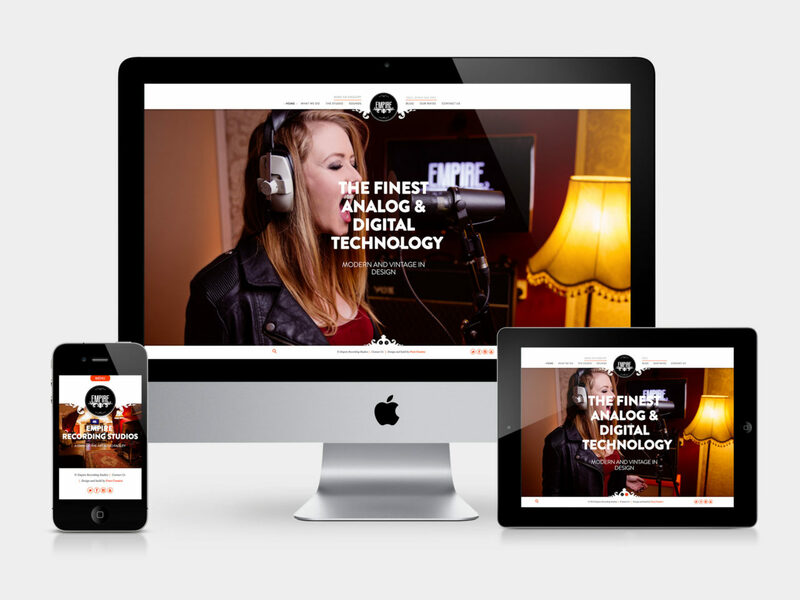 Photographer Tom Barney was commissioned to create a video and suite of images to use on the site, and what a job he did! The video really captures the essence of Empire. 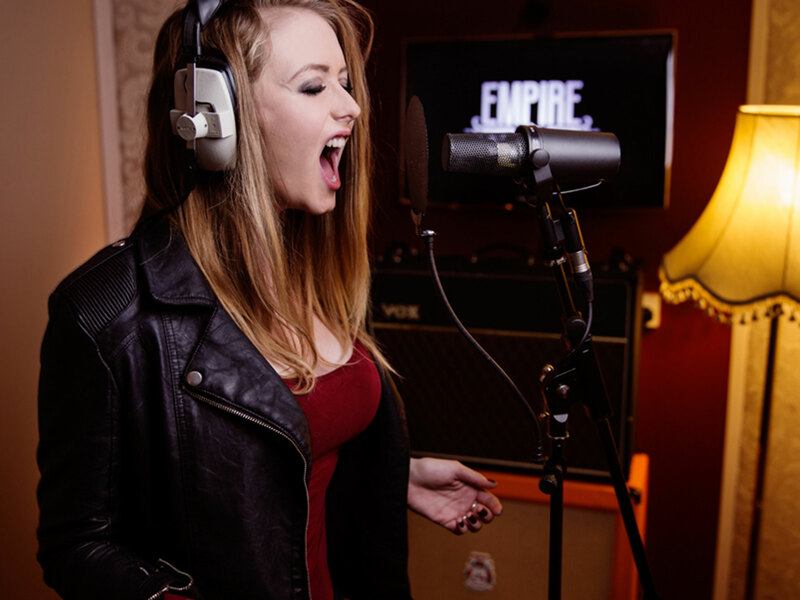 Part of the brief was to allow users to listen to the music that is created at the studio, so we implemented a simple system which enables Empire to easily add tracks, filter them by category and upload cover artwork.